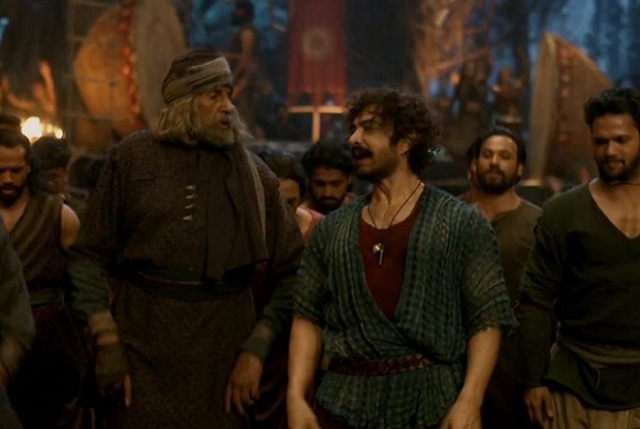 Thugs of Hindostan Overseas Collection Report for First Weekend, its poor. Thugs of Hindostan had a poor performance in Overseas in opening weekend considering the star value of Aamir Khan and Yash Raj banners. Film was released in record 2000 screens but many shows got cancelled from second day itself because of no audience. Makers are expecting big thing from overseas market but all that has fallen flat. Worst part is the trending. Collections are coming down at fast rate. If we compare domestic market with overseas than it is even worse in Overseas. In domestic film opened to record collection in first day, which was not the case in Overseas. Thugs of Hindostan has collected an approx $ 6 million in Overseas till last report. Final count is awaited. Film is fighting it hard to touch $10 million mark in Overseas. Who would have predicted for a big action diwali dhamaka Aamir Khan starrer film? there is only one hero. actors are too many in bollywood, but the Hero is only one. and that is none other than the king the bhai sabka baap Salman khan. Yes amir ki fan hamesha Salman ki movie ki troll karte hai. Are only Salman khan has the true and huge stardom that others khan don't have. Salman khan ki fans amir ki movie dekhta the islie hit his that. Ab salman and shahrukh ki bonding achhi hai . Like me le zero super hit Hoga because of Salman fans also watching this movie. As a Salman fan main to Kabhi bhi amir film nehi dekhunga useki fans ki harmato ki Baja see .